Written by impnc_admin	in Blog. My name Is Alfred Robinson and this is my story. I have been disabled since 1997 and prescribed opiates since sometime in the 80’s. From a work related injury to my back and neck. For some reason my pain management Doctor decided he was no longer going to practice. Fear of being labeled a Doctor shopper. I got off all the pharmaceuticals and the dangerous side effects that went with them. 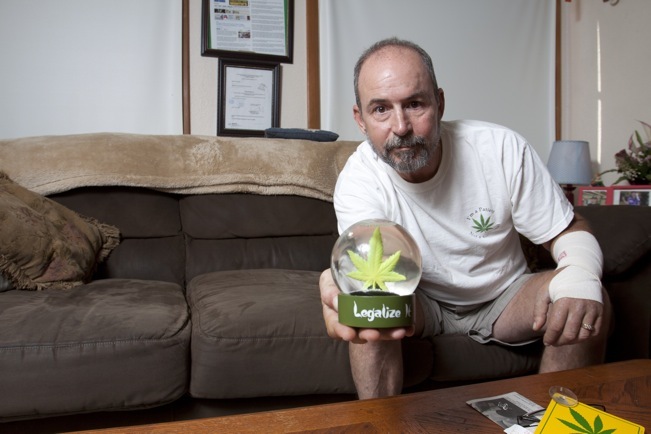 I turned to medical cannabis and had great success with none of the side effects I used to get from the opiates. A few months ago while enjoying a day of privacy in my back yard, a Pasco County’s Sheriff Helicopter dam near landed on my medical cannabis garden. I quickly destroyed what few plants I had before a ground unit had arrived. At least that’s what I thought. In a hurry I missed a couple of plants the Sheriff found them and I was arrested. After posting bond, I was released from jail and immediately started looking for support. Searching the internet I found www.Imapatientnotacriminal.org I seen the shirts they had, and knew I had to have one. I sent my donation my shirt arrived and I wore it with pride to my 1st court appearance. The Honorable Judge Michael Andrews asked me my initial plea, I said not guilty; I also told him I’m a patient not a criminal. The Judge and the State Attorney and ½ the court found it to be funny. 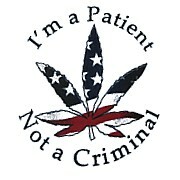 On January 14th I made my 2nd appearance wearing my t-shirt I’m a patient not a criminal. This time the State Attorney complained and Honorable Judge William Webb. He then ordered the bailiff to place me in handcuffs. And told me if I wore my shirt again he would hold me in contempt. My Attorney Michael Minardi told the Judge that he was violating my constitutional rights. And the Judge just ignored him and never gave him an answer. As I just stated I have hired medical cannabis Attorney Michael Minardi, I will be fighting these corrupt charges. I going to be using (if allowed) The Medical Necessity Defense. I’m asking for your support. If you are a patient, caregiver or supporter, I’m asking you to wear your medical cannabis colors and support me at my next court hearing. Date February 26th at 1:30 PM at the Pasco County court house. Tags: Attorney Michael Minardi, Court, Court House, Florida, IMPNC, Judge William Webb, Medical Necessity Defense, Minardi Law, Pasco County.